The person who is generally referred to by the name Buddha was Siddhārtha Gautama, a spiritual teacher born in Nepal and the founder of Buddhism who lived at around 500 BCE. Forty-nine days after Buddha attained enlightenment he was requested to teach. As a re matter osult of this request, Buddha rose from meditation and taught the first Wheel of Dharma. Those teachings of The Buddha such as “The Four Noble Truths” or the “Noble Eightfold Path” are timeless and reflect personal and spiritual development. Many Buddha quotes that are handed down until today are both inspirational as well as reflecting deeper truth of reality. What can we learn, where can we be inspired from The Buddha for everyday life and our own development today? of his articles. Vaarthalu Yela Raayali ? (in Telugu) (Reporters Reference Book) was published in 2006 and many books on journalism was written by him in addition to / besides some articles, News, Special Editions, Essay writings, Stories and Reviews etc. He has keen observation and close study on Buddhism from the last 8 years. 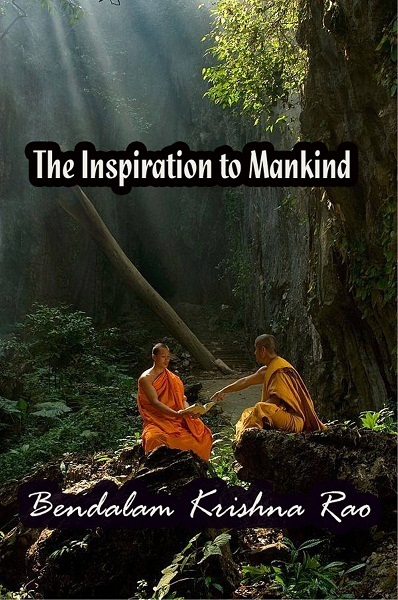 The present book “Inspiration to Mankind” is in the part of Buddhism. Liked the way this book is written and the compilation of so many words of Buddha. Hope more books were available.